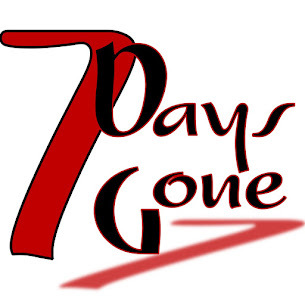 Seven Days Gone: The adventure of Livestreaming on the Interwebs...7DG style!!! The adventure of Livestreaming on the Interwebs...7DG style!!! We streamed our show at Whistling Willie's on Saturday night...over 200 of you out there clicked and tuned in to catch us. WOW!!! What?!? You all need to get away from your computers on Saturday nights and come on out to see us!!! Our next stop is Cousins' Ale Works in Wappingers on October 6. Can't wait to see you all there!! !